The UniFi 24 Port Gigabit Network Switch (US-24) is a cost effective way of expanding your network. 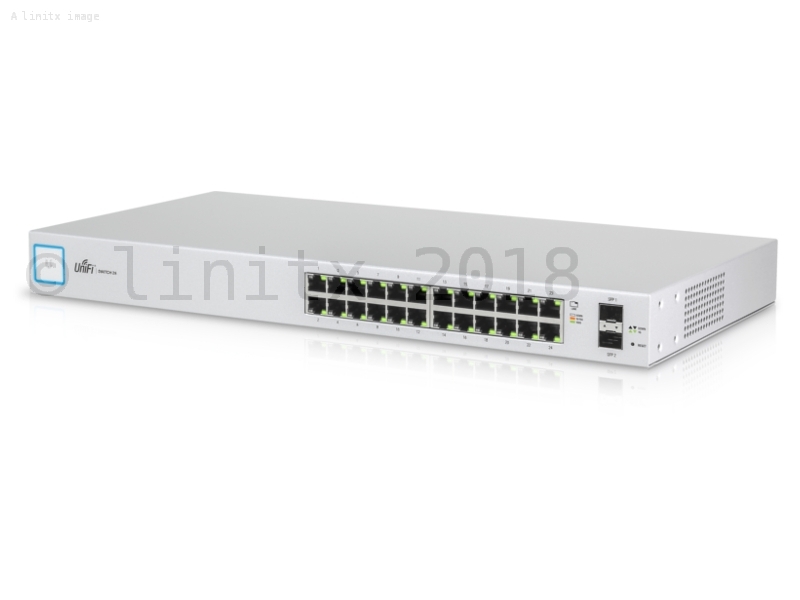 The US-24 is a fully managed Gigabit Network Switch, giving you 24 RJ45 Ethernet ports, it also offers intelligent switching and robust performance for any rapidly growing network. The US-24 has a total non-blocking throughput of up to 26Gbps and allows simultaneous processing of traffic on all ports at line rate, without any packet loss. 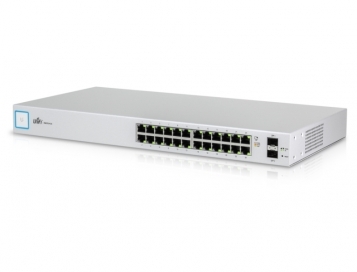 The Ubiquiti 24 Port Network Switch has two SFP ports, which support uplinks of up to 1Gbps. 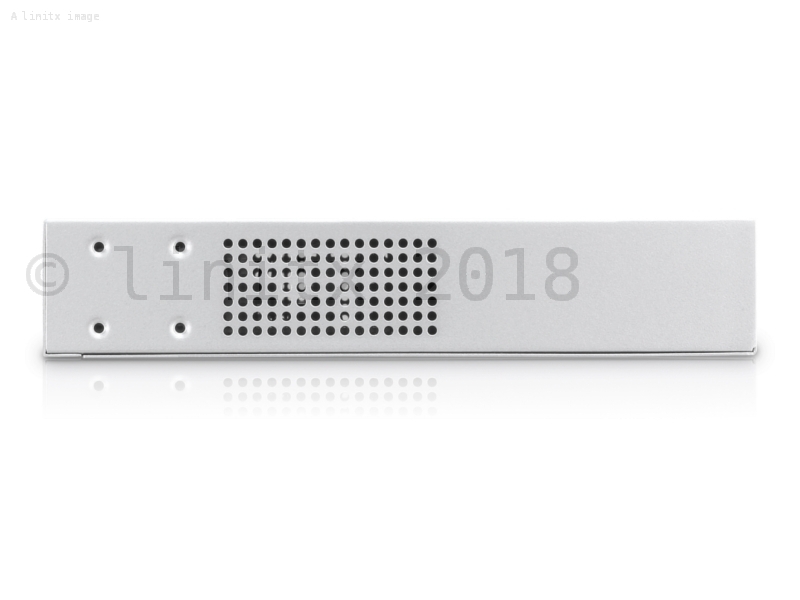 For customers requiring more throughput, we recommend the UniFi 48 Port Network Switch US-48, which offers up to 10Gbps via 2 SFP+ ports. All Unifi Network Switches allow seamless integration into the Unifi Software-Defined Networking (SDN) platform; this enables users to create highly scalable, end-to-end network infrastructures of multiple devices across multiple locations, all being controlled by a single interface. 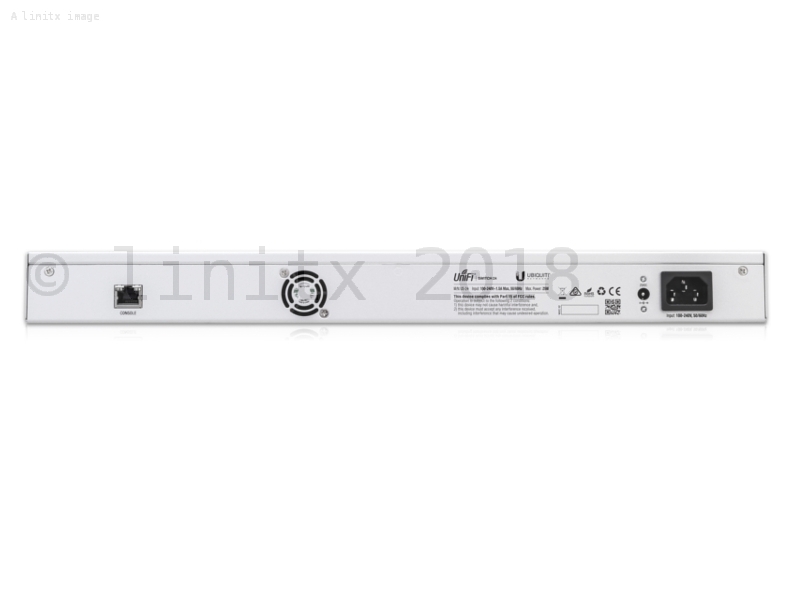 The US-24-250W UniFi 24 Port PoE Switch is one of the more popular options, offering PoE+ flexibility, capable of auto-sensing IEEE 802.3af/at or 24V passive PoE for less complex infrastructures. 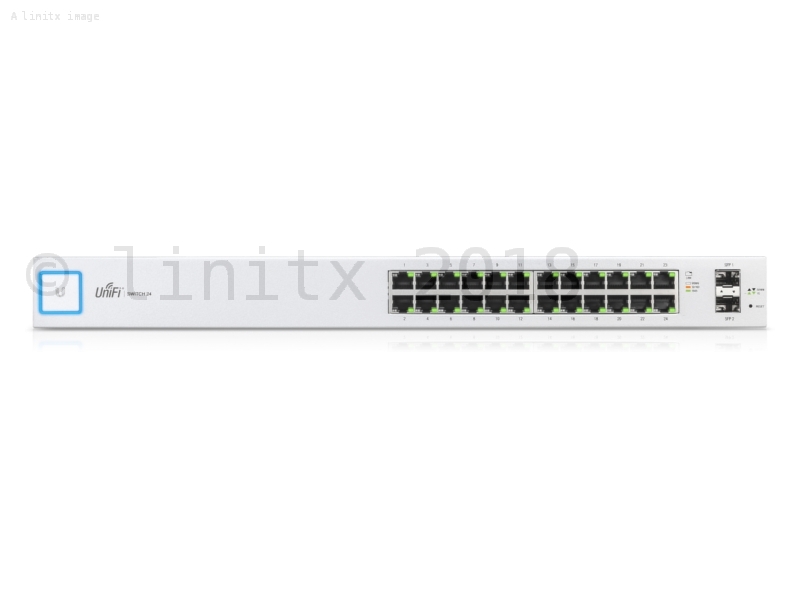 The US-48-500W UniFi 48 Port PoE Switch - a more powerful option, which integrates 2 SFP+ ports, offering uplink speeds of up to 10 Gbps and up to a total throughput of up to 70 Gbps, offering no packet loss when forwarding traffic on all ports. You can find the US-24 Datasheet here.